This house, the surrounding gardens, the incredible view and the delightful swimming pool are stupendous! The view is, without doubt, the best private view on the Sao Paulo coastline. Slip into the pool on a sunny Saturday afternoon with a cool glass of champagne in your hand and you will forget about life in hectic Sao Paulo and find yourself totally relaxed and in absolute paradise! The traditional house features 4 En Suite Bedrooms, all with air conditioning and furnished with minimum 2 twin beds. The Master bedroom benefits from it's own private deck and view as well as an additional single bed. The other bedrooms also all have their own private access to and from the outside world. One of the bedrooms also offers a bunk bed as well as 2 twin beds - perfect for 4 kids! 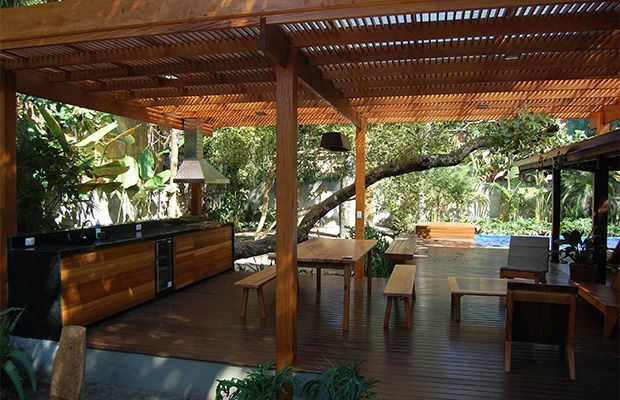 The dining area is equipped with a dining table for 8 and an additional breakfast area for 4. There is also an outdoor dining table for 8 and a round dining table at the pool which is perfect for a gourmet BBQ or enjoying snacks and chilled wine by the pool. Last but certainly not least, are the additional areas for relaxation, reading or even watching TV! There is an outdoor area with a sofa and comfy chairs perfect for candle lit evenings, an indoor living area adjacent to the dining area and a TV room with flatscreen TV. This property is not only unique but incredibly special! Living in São Paulo is hectic at the best of times but at least the beach and the excitement and tranquility it brings is not far away! We feature Ilha Bela, Baleia and Cambury as our favourite coastal destinations! They are a 3 - 4 hours from Sáo Paulo but without a doubt both are worth the effort! 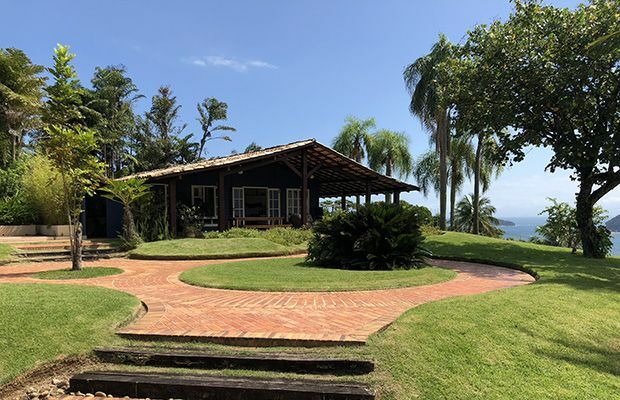 Cambury is fortunate to offer some of the Brazilan coast´s best restaurants - and they really are excellent - as well as 2 beaches, one perfect for surfing and the other which has calmer waters. Baleia is São Paulo coast's most exclusive beach. 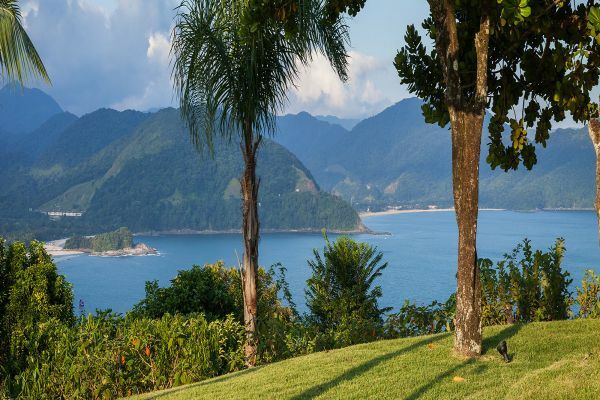 Ilha Bela island is perfect for those looking for activities and adventure! Whether you fancy an 8 hour trek through the jungle, a 4WD or a spot of sailing the island has it all!